Basic English, produced by Mr C. K. Ogden of the Orthological Institute, is a simple form of the English language which, with 850 words, is able to give the sense of anything which may be said in English. 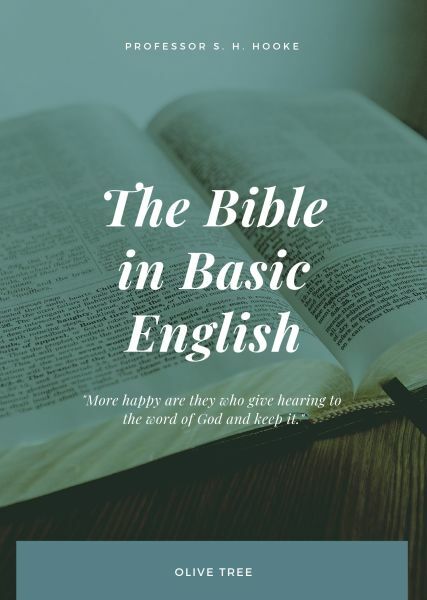 By the addition of 50 Special Bible words and the use of 100 words listed as giving most help in the reading of English verse, this number has been increased to 1000 for the purpose of putting the Bible into Basic English. Working with the Orthological Institute, a Committee under the direction of Professor S. H. Hooke (Professor Emeritus of Old Testament Studies in the University of London), is responsible for this new English form of the Bible based on the original Hebrew and the Greek languages.